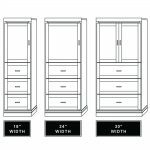 This beautiful side cabinet offers plenty of hidden storage for the side of your Horizontal Murphy Bed. 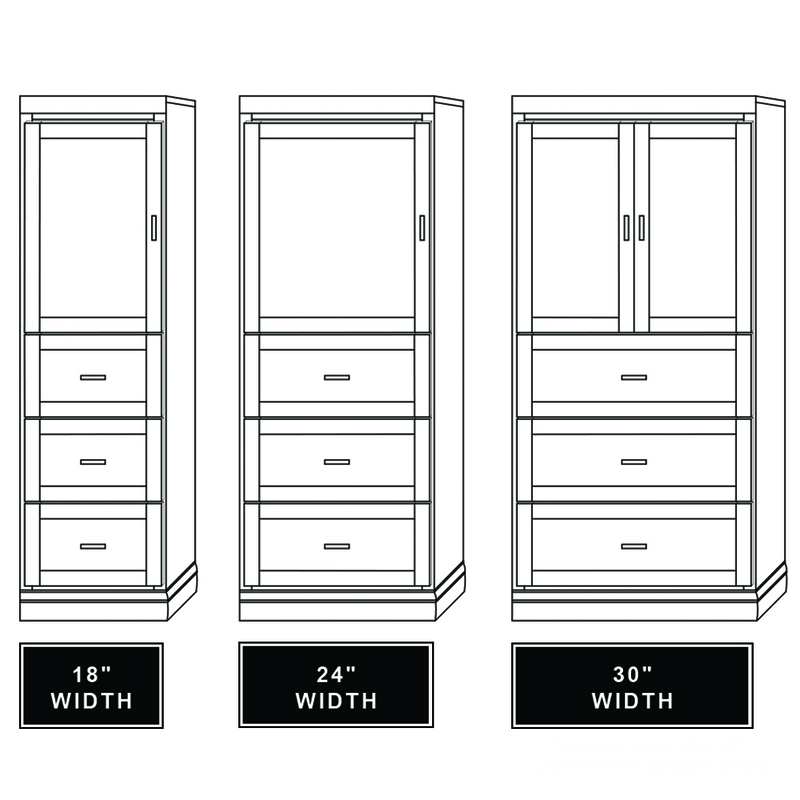 One Door on top with an adjustable shelf, and three full extension drawers on the bottom. 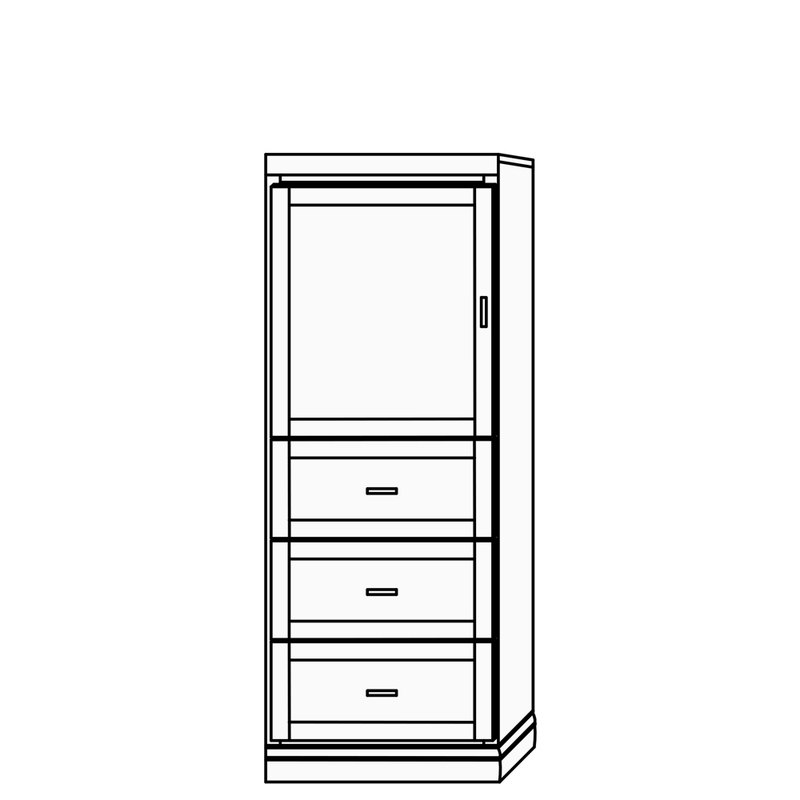 This cabinet comes standard with one wooden shelf.